Education • Up to 400 computer-science school students to live, study in old Tribune building. Chris Detrick | The Salt Lake Tribune Neumont University President Edward Levine speaks at Neumont University Wednesday August 29, 2012. Levine is going to court to against a college review web site, alleging it posts only negative comments about his small for-profit school. Chris Detrick | The Salt Lake Tribune Neumont University President Edward Levine speaks at Neumont University Wednesday August 29, 2012. 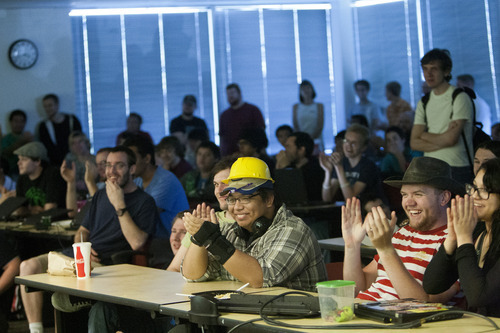 Neumont University, a residential for-profit school offering undergraduate degrees in digital sciences, is leaving its South Jordan campus to move into the old Salt Lake Tribune building at 143 South Main Street. Tribune file photo The Ezra Thompson Building at 143 S. Main in Salt Lake City, which formerly housed The Salt Lake Tribune, will be the new home of Neumont University. 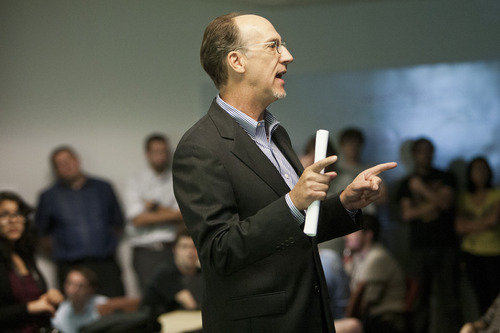 Chris Detrick | The Salt Lake Tribune Students listen as Neumont University President Edward Levine speaks at Neumont University Wednesday August 29, 2012. Neumont University, a residential for-profit school offering undergraduate degrees in digital sciences, is leaving its South Jordan campus to move into the old Salt Lake Tribune building at 143 South Main Street. Downtown Salt Lake City will become a little more lively next year when a tech-oriented for-profit university moves its operations and student housing into a historic Main Street building. Neumont University will formally announce its plans Thursday evening at its future home, the Ezra Thompson Building at 143 S. Main. The 11-story masonry art deco office tower, built in 1924, housed The Salt Lake Tribune for nearly seven decades before the newspaper's 2005 move to The Gateway. "We feel like we were the best-kept secret in Utah. We have stature nationally because employers covet our graduates. Companies travel to South Jordan to meet and recruit our students," school president Edward Levine said. "We would like to be in a conspicuous location." After the Tribune's departure, developers Michael Ferro and Vasilios Priskos acquired the building with an eye toward converting it into residences. "We have been anxious to get more students living downtown. We really want it to be thought of as a college town. University students add a vibrancy to city streets that's difficult to get from other groups," said Jason Mathis, Downtown Alliance executive director. "I can't think of a better use for that building. It's great to see historic structures used in ways to continue their lives well into their future." Established as Northface University in 2003 at a South Jordan office park, Neumont is a baccalaureate college offering degrees exclusively in digital sciences. Its enrollment moves between 250 and 300 students, mostly from out of state, and the new location will allow growth to 400. 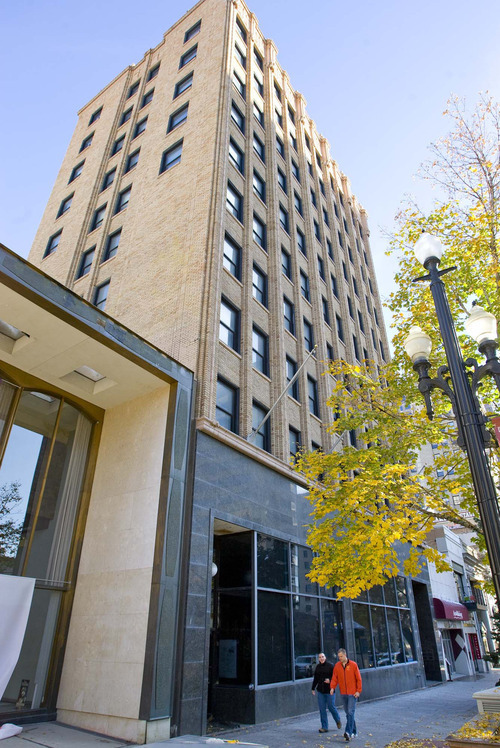 "The former Tribune building is a tremendous asset to the capital city. It's a perfect size for us. We looked at dozens of buildings," said Levine, who succeeded co-founder Graham Doxey as president in 2007. "What made it work was great partners," he said. "That building should be a sole-occupant building,"
The school plans to operate for another year at South Jordan, then open its new home in October 2013. The bottom five floors will have labs, project rooms, administrative offices and 16 classrooms, while the upper six floor will house student apartments. Neumont is different than nearly all other for-profit schools, which typically cater to adult learners who juggle part-time school with work and family obligations, and often take classes online. Most Neumont students come straight out of high school and live in campus housing, attending school year-round and full-time, according to Stacy Hughes, director of external affairs. The founders insisted on admissions standards that require a proficiency in math and a passion for computers. "They wanted a curriculum based strictly on what industry needs," Hughes said, "not on what a tenured professor studies." Tuition is $7,200 per 10-week quarter and students who stay on track graduate in 2½ years. This price is comparable to out-of-state-tuition at many large public universities in Western states. According to the school, 95 percent of its students land jobs within six months of graduation, with starting pay averaging $61,000. Officials know because they ask graduates to provide job-offer letters with first-year salary, Hughes said. The official graduation rate is 62 percent, which is a little better than the state's big public universities. Neumont is not regionally accredited, so its credits would not be readily transferable to a traditional university. Instead, such colleges would review Neumont's programs and decide whether to grant credits for work done there. 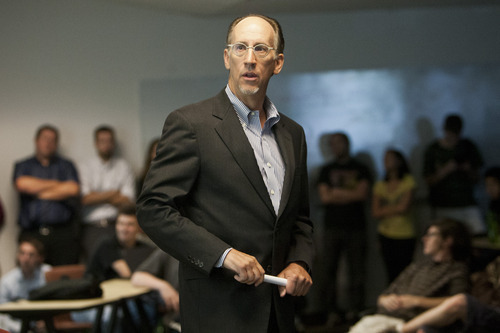 Levine said Neumont alumni have gone on to pursue graduate degrees at prestigious schools such as the University of Texas, Carnegie Mellon and Oxford. Established in 2003 at a South Jordan office park, this for-profit residential technology school is moving into the former Salt Lake Tribune building on Salt Lake City's Main Street. Most Neumont students come from out of state and live in campus housing, attending school year-round and full-time. Tuition is $7,200 a quarter and students who stay on track graduate in 2½ years.